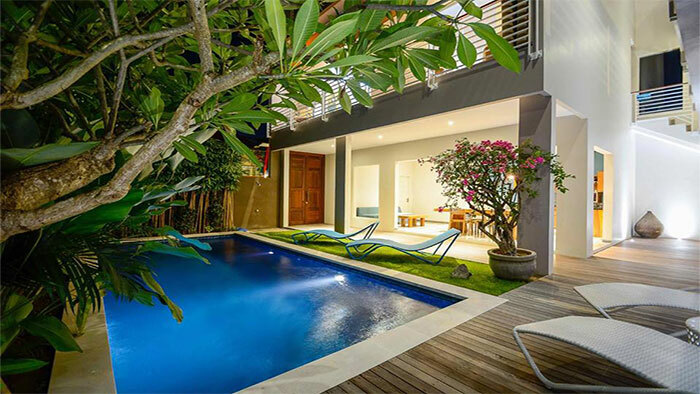 Studio for sale in leasehold in a beautiful new residence, located in the heart of Seminyak, the most popular area of Bali, close to the most popular shops and restaurants and just 800 meters from the famous beach of Double Six. These apartments of 35 m2 are on the ground floor facing the pool. They consist of a beautiful and bright living room with a neat and original decoration, a kitchen area and a bathroom. They also have a private terrace. Great investment opportunity with high rental yield, these apartments are located in a strategic geographical area, perfectly suited to the seasonal rental market. To visit quickly!